February’s active bonus makes way… for a bigger giveaway! ? With mandarin oranges making appearances and festive songs blasting everywhere – yay, Chinese New Year is in the air! And we have got your celebrations covered. Fortune favours the fast. Have you got the skills to win? 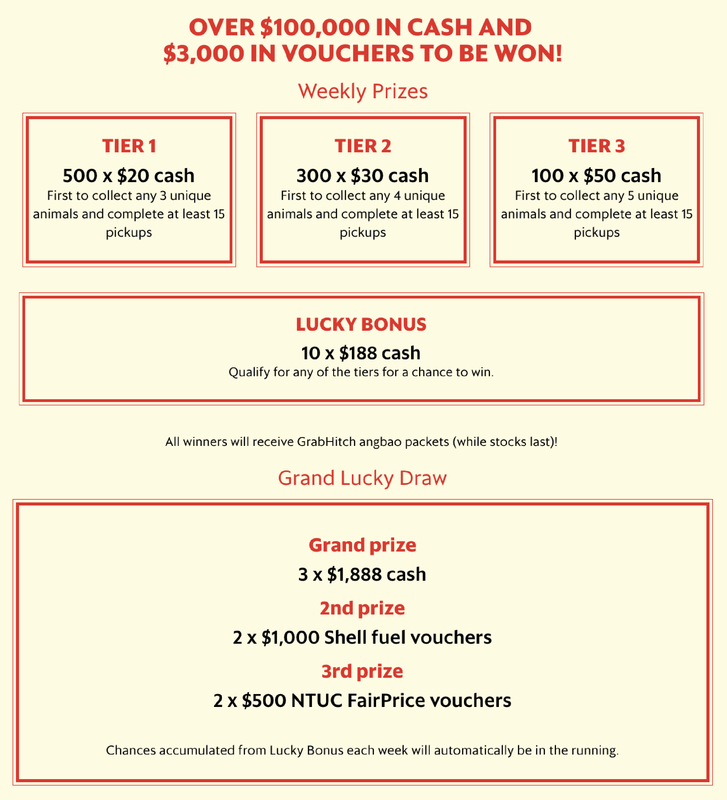 Running for 4 weeks in February, our all-new GrabHitch Match & Win Zodiac contest gets your year started on a prosperous note. Exclusive to Hitch Drivers, simply pick up riders from different zodiac areas and win cash prizes each week. With a huge variety of speed-based and luck-based prizes…could that $1,888 be yours? Wait no more as the contest starts tomorrow. Find out how to win now. P.S. 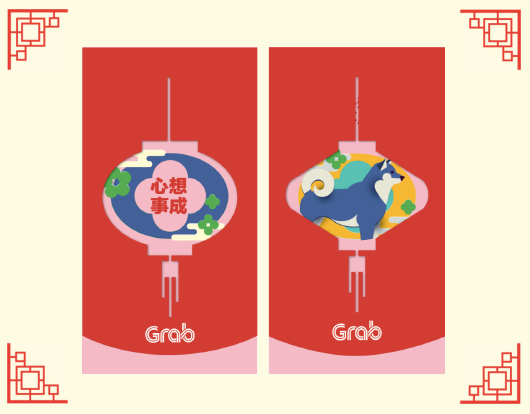 All prize winners will receive our limited edition GrabHitch angbao packets in the following designs, while stocks last. So hurry up and join in the fun! CNY Special: Refer 2 friends to drive with Hitch and get $68! As you feast on yet another steamboat, why not share about how you have managed to cover your petrol and other car-related expenses by driving GrabHitch? For every friend you refer to sign up as a Hitch Driver, both you and your friend get $20 each after his/her first pick-up is successfully completed! For this month only, gather 2 friends or more and get an additional $28. That’s a total of $68!